A recent survey of research published in renowned journal PLOS One has prompted the authors behind it to declare that the widely advertised and high-touted benefits of testosterone therapy drugs to address common complaints of aging males are essentially non-existent. After analyzing over 200 studies undertaken since 1950 meant to asses the effectiveness of testosterone medications in comparison to a placebo, it was determined that there is no evidence to support the explosion in popularity of drugs such as Testim, Androgel, Axiron and others. Recent years have witnessed an onslaught of advertising from drug manufacturers targeting middle-aged males beginning to experience some of the more common side effects of growing older, including fatigue, forgetfulness, lack of muscle tone, decline in sexual function and the like. A barrage of television, radio and print ads attempted to persuade this growing demographic that testosterone replacement therapies produced by pharmaceutical giants including AbbVie and Eli Lilly represented something of a silver bullet that could restore youthfulness and vigor to their lives. As a result, sales of these medications grew exponentially, reaching an annual high of nearly $2 billion, just three years ago. However, skeptics suggested that there was little scientific basis for the claims being made by drug makers with regard to testosterone products, and researchers decided to conduct a comprehensive assessment of research related to the topic, going back to 1950. The study’s authors have now asserted that prescribing testosterone supplements as a means to address mood issues, cognitive function, sexual performance, physical vigor or similar concerns has no foundation in science, and that the side effects of testosterone supplements of this type entirely outweigh any perceived benefits. It should be noted, however, that the conclusions of the study are not applicable to cases in which a patient was diagnosed with true hypogonadism, a condition in which a lack of testosterone production causes bone loss and other serious problems. This class of drugs can have a beneficial impact on such individuals, however, the lion’s share of patients using popular low-T drugs have not been diagnosed with this particular affliction. The findings of this recent report underscore long-standing criticisms that the marketing of testosterone drugs to legions of older men seeking a revival of their youth in fact placed them at unnecessary risk of very serious side effects. Specifically, medical researchers have made troubling links between the use of testosterone replacement drugs and increased risks of heart attacks, strokes, blood clots and transient ischemic attacks, also known as “mini strokes.” It has also been alleged that the use of these medications boosts patients’ risk of developing prostate cancer and atrial fibrillation and that it may exacerbate existing cases of obstructive sleep apnea, a potentially fatal situation. Considering the dangers posed by testosterone replacement therapy drugs and the many millions of prescriptions written for them over the past several years, it is not surprising that a wave of litigation has taken root in courts across the country. Plaintiffs who have suffered serious complications following their use of the medications have filed suit in large numbers, alleging that drug makers failed in their duty to warn consumers of known risks and aggressively geared advertising toward those who would derive little benefit from the products while simultaneously placing their health in real jeopardy. 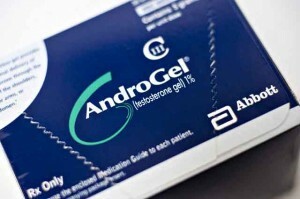 Multidistrict litigation pertaining to testosterone drug Androgel is currently proceeding in the U.S. District Court for the Northern District of Illinois, with all-important bellwether cases set to be heard next year. These Androgel lawsuits will likely prove influential in whether large-scale settlements are likely, or if AbbVie will hold firm and see hundreds of matters through to the trial stage independently of one another. Have You Been Injured by Taxotere? Have You Been Injured by Testosterone Therapy? Injurylawyer-news.com provides accurate, up to date information on dangerous drugs and defective medical device lawsuits. This site is sponsored by Eisbrouch Marsh, LLC, with principal offices located at 50 Main Street, Hackensack NJ 07601. The information on this site is not intended as legal advice; visitors should seek professional advice when making legal decisions. If you find a fact that you believe is not accurate, or find a name that should be protected, please notify the webmaster.